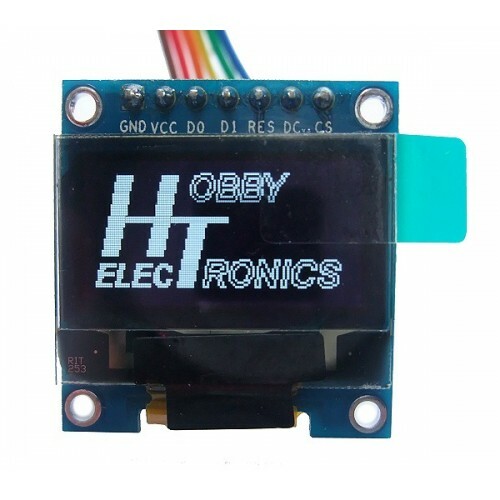 This is a small high contrast OLED graphics display with 128x64 pixels. Control of the display is via SPI. The display Driver uses the popular SSD1306 chipset which is well catered for with example code on the internet for many microcontrollers. A fully featured Arduino library is available for download below (based on the Sparkfun Microview code) with graphics drawing functions and several font sizes. The example code for the similar Adafruit displays also works. 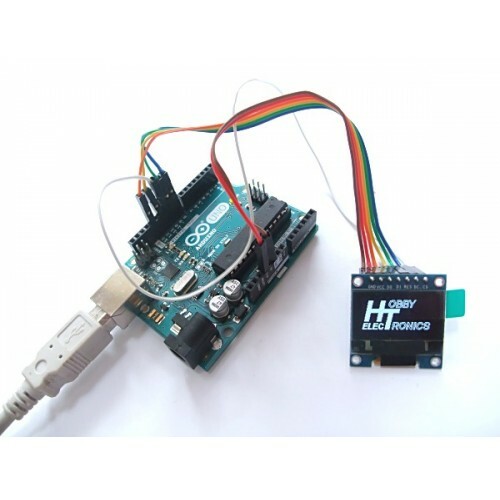 The code works on Arduino boards as well as the popular Teensy boards. Although the OLED display requires a 3.3V power supply, it seems tolerant to 5V logic on its input pins. 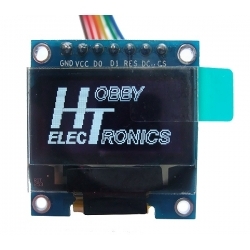 Thus it is suitable for use with 5V Arduino boards that include a 3.3V supply output. Its easy to create a bitmap image for use with this display. We have a useful free tool which takes a bitmap (BMP) file and generates the character array used to display the bitmap. The generated array should be placed in the logo.h file in the Arduino code (below).